This raw cacao powder is perfect to add to smoothies and teas. Certified Kosher (PAREVE) by IKC. 12 Heart Bars PLUS 2 FREE Premium Heart Bars (Longevity & Reverse)! "Sacred Steve" Adler Discusses What Makes Something Alive. Researchers find that it IS possible to get sick of chocolate? Why is chocolate good for your brain? Steve Factor Interviews "Sacred Steve" Adler at the Longevity Now Conference. COCONUT SUGAR: REDEMPTION OR RACKET? Learn How to Make RAW CHOCOLATE at Home with David "Avocado" Wolfe. CLICK THE IMAGE TO GET STARTED NOW! "Sacred Chocolate® is clearly the best chocolate bar ever. 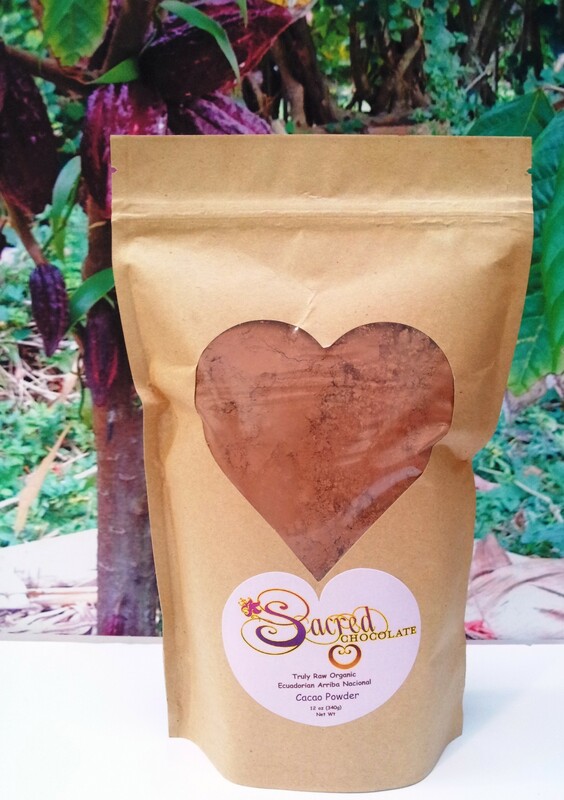 Take one bite and you will know that Sacred Chocolate has cracked the cacao code!" Any use or download of website content is subject to our terms and conditions. The Sacred Chocolate web site is best viewed using the latest versions of the following supported internet browsers: Chrome, Firefox and Safari. We now accept BITCOIN (BTC) as a payment method!